Mind Relaxation techniques involves using techniques to calm your mind and reduce anxiety. It involves being aware of your thoughts, and than being able to stop your negative thoughts and change them to positive and see your thoughts in a different way. Mind relaxation techniques helps to soothe our mind. They include different exercises that will help produce the body’s natural relaxation response, which is normally characterized by lower blood pressure, slower breathing, and a feeling of enhanced calm mood. Your mind has an tremendously powerful effect on how you feel. When you relax, you can think clearly and you don’t focus too much on your worries. Learning effective relaxation techniques will help you deal with stress in a really healthy way. Besides the obvious relaxing activities, such as regular moderate level exercise, taking vacations, reading and enjoying hobbies that bring out calm and happiness, there are mind relaxation techniques that you can practice daily. Here are some ideas for mind relaxation techniques that have worked for many others. You can use these methods any time you have a few spare minutes no matter where you are. Since everyone responds differently, becoming overwhelmed or depressed, or both, you can try a few of these and see what works for you. Meditation. One of the most common mind relaxation techniques is meditation. In order to feel better and become clear-headed, all you’ll need to do is take a few minutes out of your day in order to practice this technique. The reason why meditation works wonders is that it can actually alter the neural pathways of your brain, thus making you more resilient to stress. Mindfulness. Mindfulness is another popular mind relaxation technique is when you are aware of your presence stated need and you .pay attention to current experiences. You cannot relax your mind if you are worrying about things outside of your control, such as your past and future. Deep Breathing Exercises. When we are focused on our breathing, our mind automatically becomes calmer. When you do deep breathing exercises, you are breathing in a slow, gentle, and even way. The reduction in cortisol leads to a slowing of the heart rate, which in turn also lowers blood pressure and increases feelings of relaxation. Visualization or Guided Imagery. Guided imagery is very close to autogenic training. However, the main difference between these two techniques is that guided imagery requires you to listen to either a trained therapist or a guided imagery CD in order to achieve a state of deep relaxation. This technique revolves around you learning how to focus on pleasant images in order to replace the feelings of stress or negative thoughts. Autogenic Training. Autogenic training is a relaxation technique where you will learn to use body awareness and visual imagery to achieve a deep state of relaxation. You have to learn how to switch off the “flight-or-flight stress response and switch to the relaxation response. Progressive Muscle Relaxation. Progressive muscle relaxation is a sure way to achieve relaxation, although it may require more dedication and discipline than other techniques. This technique involves concentrating on every single muscle from head to toe. This way, you’ll begin noticing the muscles, which are tense, and you’ll be able to relax each part of your body individually. Relaxation Response: The Relaxation Response is a meditation technique that uses your mind to create a response in your body. Your metabolism slows, as does the beating of your heart and your rate of breathing, and your mental activity slows down to a stress-free level by using this technique. Listen To Soothing Music. You wouldn’t believe the health benefits one can experience just by listening to soothing music. Some of the most notable benefits are lower blood pressure, normalized heart rate, and reduced anxiety. Developing Gratitude. This is a simple relaxation technique and there are many benefits of gratitude. Learning to be grateful for your blessings will help you forget about the stressful events in your life and will erase your negative thoughts and worries. Self Hypnosis: Some people successfully relieve themselves of stress and anxiety with the help of self-hypnosis. While practicing this relaxation technique, you will learn how to produce a relaxation response when prompted by either a nonverbal cue or a specific phrase. Relaxation Affirmations. Affirmations are everywhere, and they have the strong ability to lift your spirits to get through hard times. Affirmations help us to keep a positive attitude about life. Writing our own affirmations makes them personal to us, which can then help us to get through our own individual situations. Affirmations can make all the difference in reaching your goals. 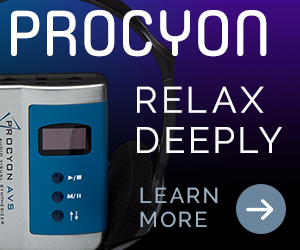 Biofeedback-Assisted Relaxation. This relaxation technique provides you with information about your body functions and teaches you how to control them by using electronic devices. This way, you’ll know exactly how to produce changes in the parts of the body where tension is present.